Highly esteemed attorney with 35 years of experience helping the injured The Law Offices of Larry J. Rothstein in San Francisco, California represents injured individuals in San Francisco County and throughout the Bay Area in all types of personal injury matters, including motor vehicle injury, slip and fall, pedestrian injuries, and more. Larry J. Rothstein has 35 years of experience serving clients and helping to secure favorable results. We are a highly respected law firm with a long track record of success advocating for the rights of those injured by the negligence, carelessness and recklessness of others in a wide variety of cases. We have satisfied many clients over the years and much of our business comes from returning clients and their referrals, a testament to our skill and ability to help you secure a positive outcome. Call the Law Offices of Larry J. Rothstein today to schedule a free initial consultation and find out how we can help you recover from your injury and move forward with your life. Respected practice with a history of satisfied clients Larry J. Rothstein is nationally recognized in the Martindale-Hubbell Bar Register of Preeminent Lawyers as AV Preeminent Peer Review Rated by Martindale-Hubbell. He has earned this status by providing every client with the best possible legal representation. Reputation Larry J. Rothstein is well known among his peers and in the community for providing exemplary legal services. Our clients come to us during tragic times in their lives and rely on us to help them through. We deliver results to help you rebuild your life. Personalized attention We recognize that every client's injury and resultant legal situation is unique, and we offer personalized attention to ensure all of the important details are understood and used in your best interest. 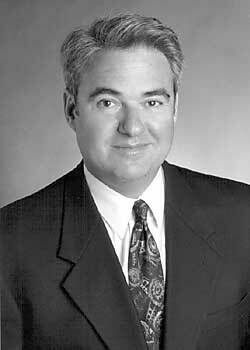 Larry J. Rothstein devotes his full attention to each client and handles your case personally. Satisfied clientele We have a long history of satisfied clients to match our successful track record of securing favorable outcomes. For 35 years, Larry J. Rothstein has helped clients through the most difficult times in their lives. Our returning client base and numerous referrals attest to our ability to help you reach resolution. Skilled attorney dedicated to injury cases resulting from various forms of negligence The Law Offices of Larry J. Rothstein skillfully represents plaintiffs in personal injury matters, including motor vehicle injury, slip and fall, pedestrian injuries, and more. Motor vehicle injury In our motor vehicle injury practice, we help clients who have been injured in car, motorcycle, truck, ATV, boat or pedestrian-related accidents recover compensation for pain and suffering, past and future medical bills, loss of income, disability, disfigurement, and emotional distress. Slip and fall In our slip and fall practice, we represent clients who have been injured because a business failed to exercise the legally-required duty of care in maintaining safe conditions on business premises. Pedestrian injuries In our pedestrian injuries practice, we help those who have been injured as pedestrians due to the negligence of others recover fair and just compensation. Contact a San Francisco, California attorney who wants to help you today. Call the Law Offices of Larry J. Rothstein at 415-837-1900 today to schedule a free consultation, or contact us online. Memberships: San Francisco Trial Lawyers; Consumer Attorneys of California; State Bar of California.